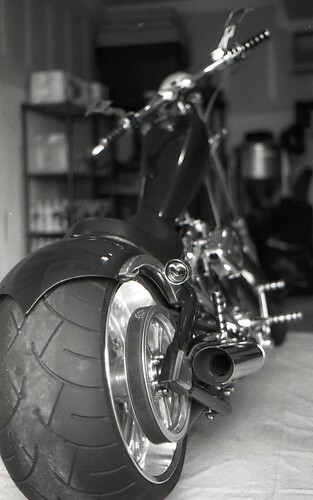 Lone Star Chopper, Shot with Nikon FG & Nikon E Series 50mm 1:1.8 on Plus-X Pan 125 Expired 03/1996 Shot Taken 05/2017. I really wish I could remember my scan settings for this one. It's from the same roll of film as the others, but the setting I used on the Epson V550 produced a beautiful smooth image.